ST. PETERSBURG — Billionaire John Catsimatidis, who famously said St. Petersburg "needs a skyline," still wants to build an impressive tower on the 400 block of Central Avenue. But it won’t be the tower shown on a blog’s web site this week. "Fake news," Catsimatidis said Tuesday of the images of a mixed-used tower soaring 52 stories and dwarfing everything else in the city. The blog, St. Pete Rising, got the images from an anonymous source and posted them because they had been done by Hill West, a prominent New York architectural firm. 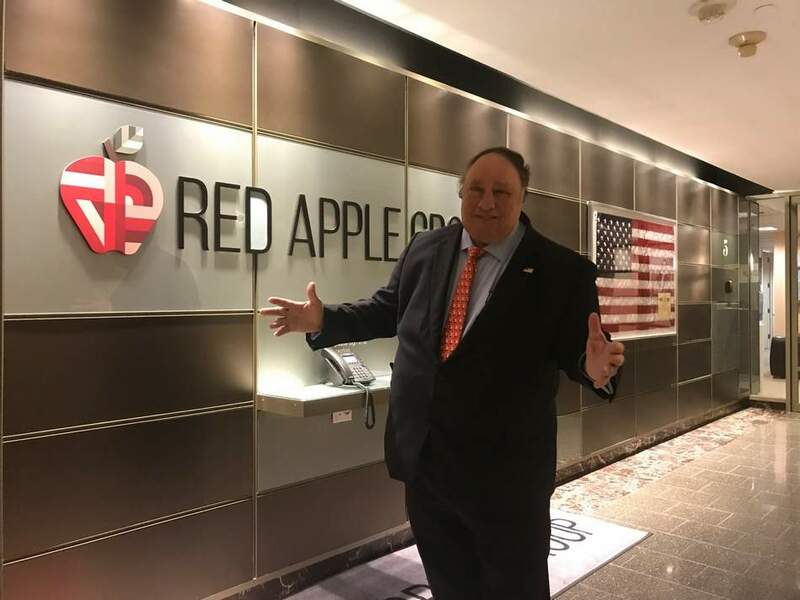 Hill West did come up with some plans, which apparently were leaked by an intern working for the company, Catsimatidis said. But his Red Apple Group has decided to go with Miami-based Arquitectonica instead. A rendering will be made public soon "but we want to refine it first," Catsimatidis said. Plans still call for a hotel and condos although the number of stories has yet to be finalized. Arquitectonica, known for its bold modernist style, is considered one of the world’s top architectural firms. Among its well-known projects are the American Airlines Arena in Miami, the Microsoft Europe Headquarters in Paris, the Bronx Museum and Westin Times Square in New York, the Infinity Towers in San Francisco and the U.S. Embassy in Lima, Peru. Brian Zucker, co-owner of St. Pete Rising, said he knew there was chance the images he received weren’t of the tower that one day would be built. But "it’s not exactly ‘fake news;’ they just didn’t go with this proposal," said Zucker, whose popular blog chronicles projects planned in the city. "Often these developers will hire multiple architectural firms to draft proposals for these large projects and then choose their favorite. At the very least, it shows us the kind of project he’s looking to build. Very interesting." In 2016, Red Apple paid $16.5 million for the Central Avenue block after the previous owners agreed to demolish a decrepit parking garage and two vintage but long vacant buildings. The company landscaped and fenced the site, creating an attractive private park while it worked on plans for the property in the heart of a thriving downtown. Mayor Rick Kriseman, who has called the block "the missing tooth in the city’s smile," has said he would like a hotel there but thinks the city already has enough high-end residences.